LIBOR stands for the London Interbank Offered Rate which has an effect on financial institutions around the world. It’s a federal level interest rate that banks in the British Bankers Association charge among themselves when they make deposits and loans among themselves. This is one of the busiest interest rates in all the world of finance. These banks offer short term deposits to one another and LIBOR sets the price which influences other derivatives as well. Swaps, Eurodollars and futures for interest rates are all influenced by what happens on a daily basis among these banks and the interest rates they are charging. It does not simply influence the Pound Sterling; it also has an influence on the Japanese Yen, Swiss Franc, Canadian Dollar and the US Dollar as well. The LIBOR is set at 11 AM London time every Monday. The rate is determined by averaging the rates that the banks in the membership are offering to one another. This average becomes the new LIBOR. It can be calculated by using different time frames such as a day all the way to a year’s time. This rate is fixed for at least a 24 hour period of time but different rates may be offered over the course of a day. This instantaneous rate and LIBOR can be different but this rarely happens for more than a very short time and the difference is a very small amount. One of the most important financial derivatives which are calculated based on LIBOR are the Eurodollar futures. The Eurodollar is United States monies which have been deposited in banks outside the US, usually in Europe. They are traded in Chicago through the Chicago Mercantile Exchange. Depositors who place their funds outside the country retain more leverage and are not subject to the Federal Reserve’s margin requirements. LIBOR is what helps set the interest rate which is paid for Eurodollars and this is a way of hedging or betting against variations in future rates. The 16 banks in the British Bankers Association control the rates for the vast majority of financial markets around the globe; upwards of 360 trillion dollars. 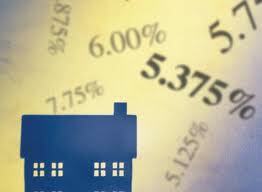 Where it affects you and me is in the adjustable rate mortgages (ARM). It is good for all of us when the interest rates level out and remain stable. This is when it is advisable to purchase a home. This will set the homeowner up with no negative amortization. There is usually a decent rate in terms of repayment. ARM is calculated by using the LIBOR plus about 2 to 3 percent more. But LIBOR does not just influence the homeowner it also has a profound effect on the entrepreneur, credit cards as well as business loans and student loans. When the economic climate stabilizes and LIBOR operates fairly all is well. But when the economy makes a change for the worse, especially in more developed countries then the rates become very unstable. When this occurs the banks have a more difficult time exchanging loans. This will trickle down and make it more difficult for everyone to obtain loans from banks. With such a volatile system banks will just offer fewer loans, or charge more interest on the loans that they do secure. Investors like Effi Enterprises like it when the Federal cuts occur. These cuts are usually in response to LIBOR. On the other hand, when the rates get out of hand loans are restricted and difficult to obtain at best. What this means to the average Joe is that they cannot benefit from these reduced rates because there are fewer loans being offered. For day to day life LIBOR does not have too much of an effect on the US Dollar. It does however greatly impact the Japanese Yen, British Pound and the Euro.